This incredible image was captured ten years ago today, on January 14, 2005. 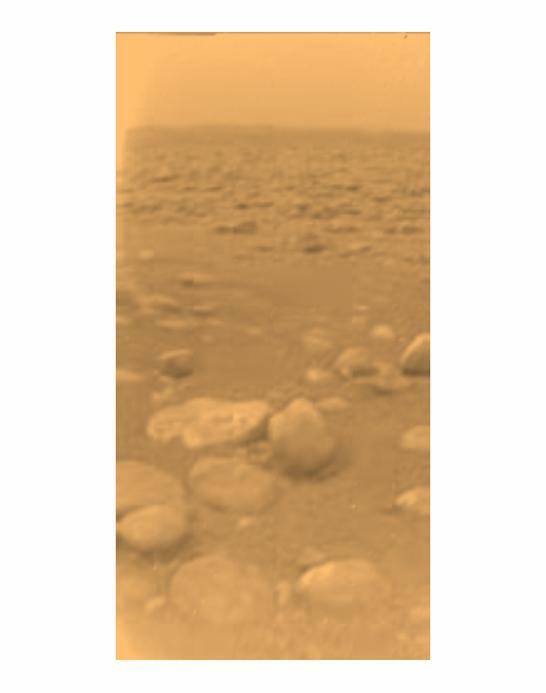 It shows the murky surface of Saturn’s moon Titan as seen by the European Space Agency’s Huygens probe after it made its historic descent through the moon’s thick haze and clouds and landed in a frozen plain of crusty methane mud and icy pebbles. During the descent and after landing Huygens returned data for several hours before communication was lost. The groundbreaking images and information it sent back has proved invaluable to scientists studying this unique and mysterious moon, which is at the same time extremely alien and surprisingly Earth-like.